Google Play is introducing both monthly or annual subscription options. Both are offered on an auto-renewing basis, businesses can set the price and billing interval, and Google Play manages all purchase transactions on their behalf, just as it does other in-app products and purchases. Speaking on the Google Android Developers blog, Ibrahim Elbouchikhi, Product Manager on the Google Play team said "Developers can use them to monetize premium dynamic content such as journals and magazines, but they can also use them to sell access to bundled products, game levels, music and video content, value-added services, or any other digital content." Analysts Berg Insight believes Android's in-app billing will grow from 2010 revenues of £69 million to more than £1.28 billion in 2015. It's a year since Google first launched in-app Billing in Google Play and the feature has proved incredibly popular with developers and consumers. According to Elbouchikhi, "23 of the 24 top-grossing apps in Google Play use In-app Billing, and the total revenue generated from in-app purchases exceeds revenue from traditional app purchases." An additional feature of the subscription service is the ability to use the subscription across different platforms. Business developers can now validate or cancel subscriptions via a web link, allowing developers to extend access from their Android apps to their web properties, based on subscriptions that are purchased on Google Play. 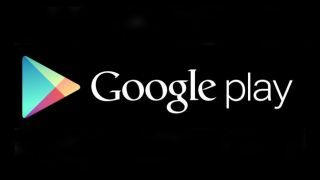 In the coming days, several developers will be launching apps with Google Play subscriptions. Glu Mobile will be the first to launch with updated versions of its top Android titles, including Frontline Commando, offering subscriptions through custom VIP currency packages. "We're using Google Play subscriptions to offer consumers a compelling value and a single currency which they can use across Glu's most popular titles" says Niccolo de Masi, CEO of Glu.